West Palm Beach, Florida – sunshine, right? 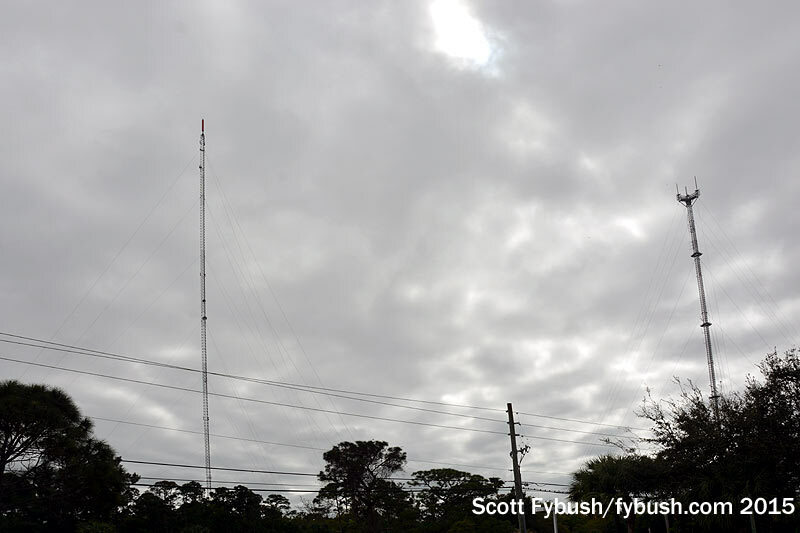 Not the day we showed up in March, but cloudy skies and a bit of wind couldn’t dissuade us from checking out some of the towers to be found in this fast-growing market 50 miles or so up the coast from Miami. If you’re from upstate New York, as we are, it’s a given that some member of your family has probably retired somewhere in southern Palm Beach County, and so we ended up spending a couple of nights in Boynton Beach visiting with assorted aunts and uncles and parents’ friends and so on. And, of course, seeing towers, starting with the cluster that sits along the western edge of the metro, where US 441/State Route 7 forms the western boundary between rampant suburbia and what’s left of the Everglades. 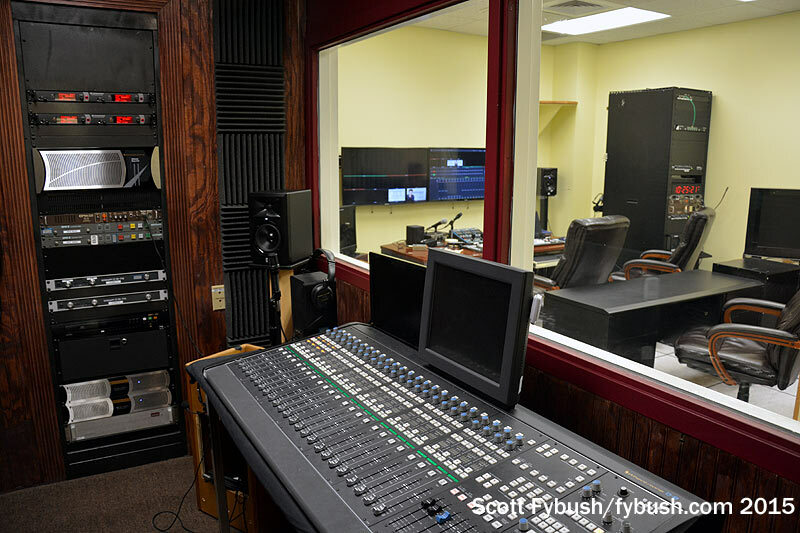 WRMB (89.3) is the FM station licensed to Boynton Beach, with studios along Boynton Beach Boulevard and a tower a few miles to the west, near the Florida’s Turnpike interchange with Boynton Beach Boulevard. 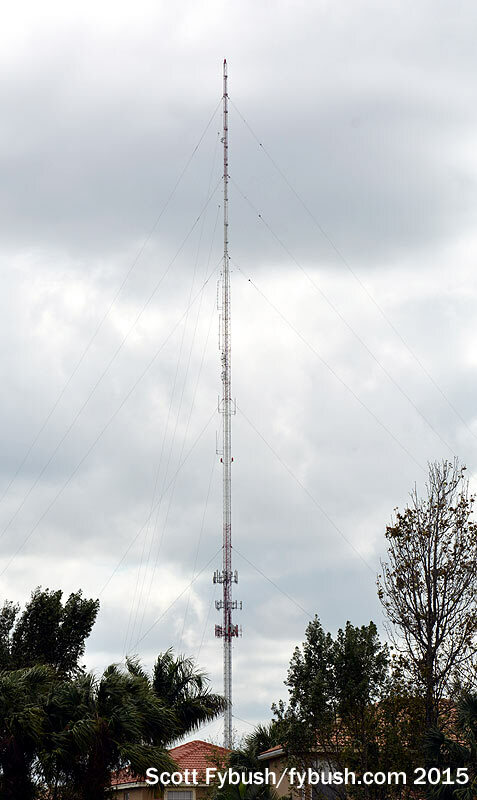 This tower was probably out in the open when WRMB signed on in 1979; today, it sits behind one of the ubiquitous gated communities that fill the landscape here. 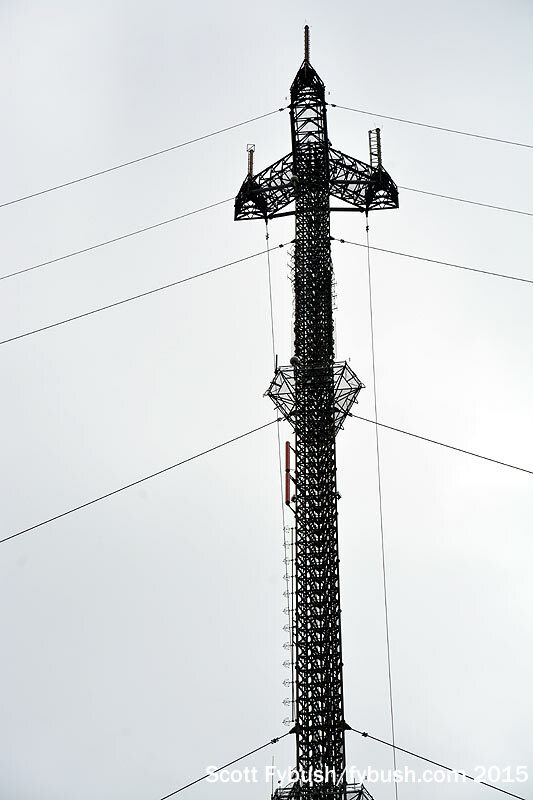 A third tower, off in the distance to the west, carries Fox affiliate WFLX (Channel 29/RF 28), public TV WXEL (Channel 42/RF 27) and independent WHDT (Channel 59/RF 42), along with WRMF (97.9 Palm Beach). 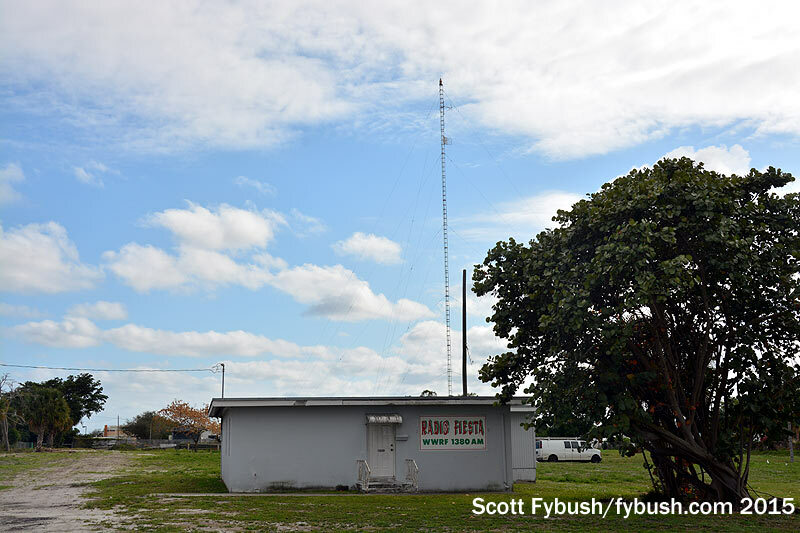 Heading east toward the beach from here takes us past two AM sites: WWRF (1380 Lake Worth) started out in 1959 as 500-watt daytimer WLIZ; later on, it did religion as WLVS before becoming today’s “Radio Fiesta” with Spanish tropical music, running 1000 watts ND-D. Translator W245AY (96.9) also operates from the AM site near the Lake Worth Blvd./I-95 interchange. 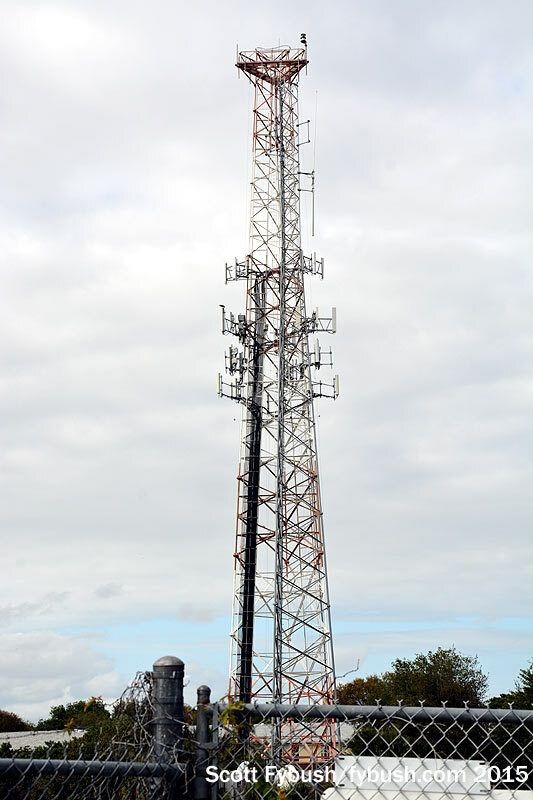 Just up the road, this heavily-laden tower also carries WPBR (1340 Lantana), which signed on in 1957 as Palm Beach-licensed WQXT and spawned WQXT-FM (97.9), today’s WRMF. WPBR programs to the Haitian community in town, and it’s also heard over a translator at 96.1. Our next morning in Palm Beach County started out sunnier as we headed south toward Boca Raton and the WXEL public broadcasting studios. This has been one of the more turbulent public broadcasting stories of the last few decades: what started out as schools-owned WHRS-FM (91.7, later 90.7) in 1969 added WHRS-TV (Channel 42) in 1982, bringing local public TV to a region that had become accustomed to watching Miami’s WPBT (Channel 2) on cable and over the air. WHRS-FM/TV became WXEL-FM/TV in 1985 as ownership passed to a local community group, but that didn’t last long. In 1997, the stations went to Barry University, a Catholic school that kept them going as NPR and PBS outlets before deciding to sell them off. An initial plan that would have put the TV in the hands of New York’s WNET fell through, and that’s when radio and TV split. 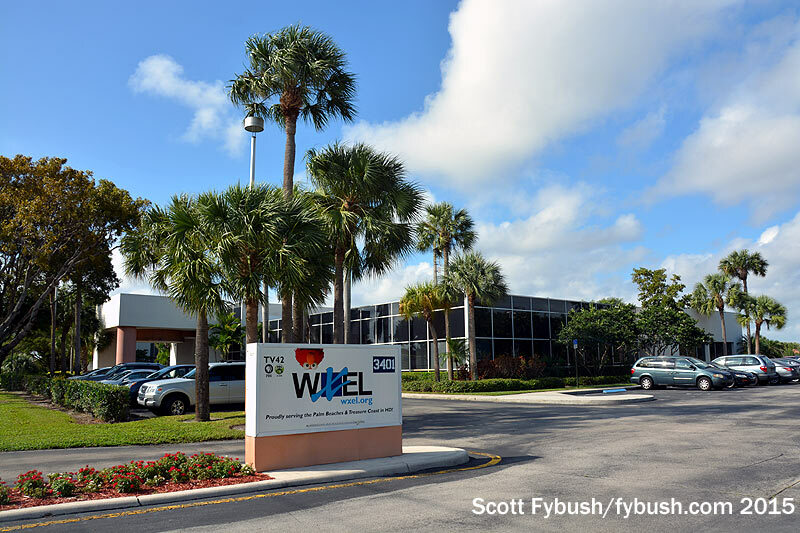 WXEL-FM was sold to American Public Media to become WPBI, part of a three-station “Classical South Florida” network that was then sold off to K-Love not long after our visit. WXEL-TV went to a new community group, which tried mightily to keep things going here, in part by leasing out some of this large facility. 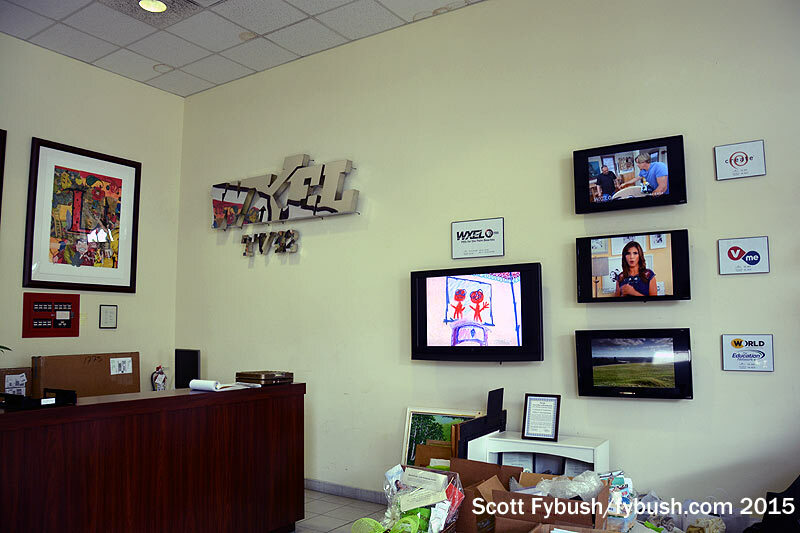 The former WXEL-FM offices and studios on the north side of the building are now used by Newsmax.tv, the conservative news and talk channel that also uses one of the TV studios on the south side of the building. 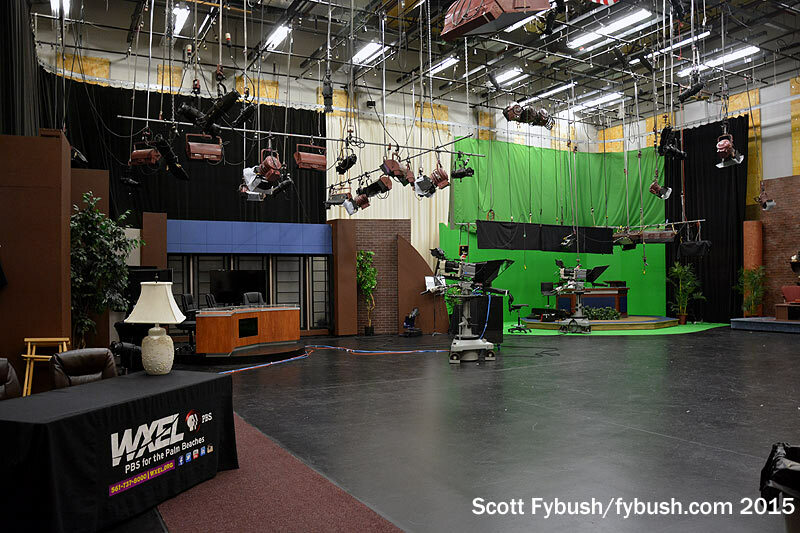 The other large TV studio is still used by WXEL, along with an adjacent production control and master control facility. 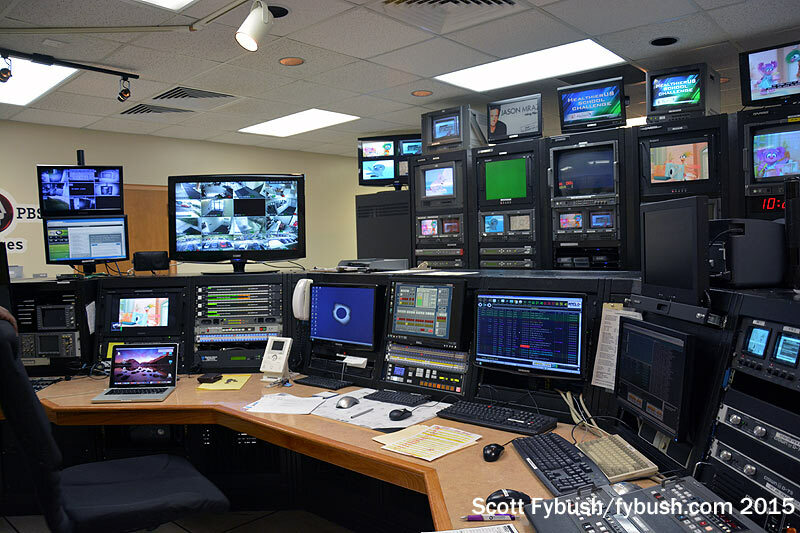 Not long after our March 2015 visit, WXEL announced that it was entering into an agreement to join forces with Miami’s WPBT; it’s not clear what will become of this facility once that transition is complete, probably sometime in 2016. One more AM site while we’re down at the southern edge of the county: what’s now WDJA (1420 Delray Beach) started out in 1952 as WDBF. 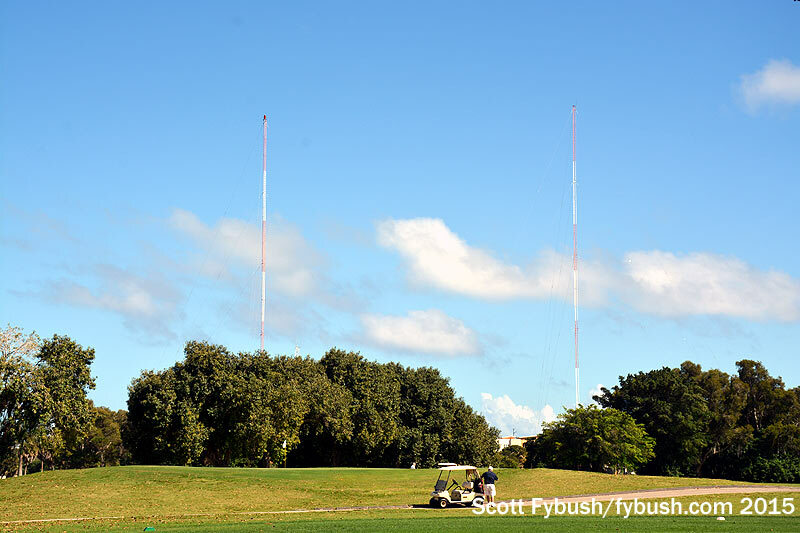 Today, it runs 5000 watts day, 500 watts night from this two-tower array right on a golf course where Atlantic Boulevard meets I-95. Thanks to WXEL’s Kevin Howie for the tour! And don’t miss a big batch of Palm Beach IDs next Wednesday, over at our sister site, TopHour.com!